The Nintendo Satellaview was a visionary achievement - attaching a satellite modem to your Super Famicom and having scheduled game downloads was certainly something out of science fiction back in 1995. It achieved a moderate amount of success in Japan and has gathered a cult following among diehard Super Famicom aficionados. Among the dozens of games available, a number of them where never released in cartridge form and are as such incredibly rare to obtain since they only exist as downloaded data on the Satellaview's 8 megabit flash cartridge. 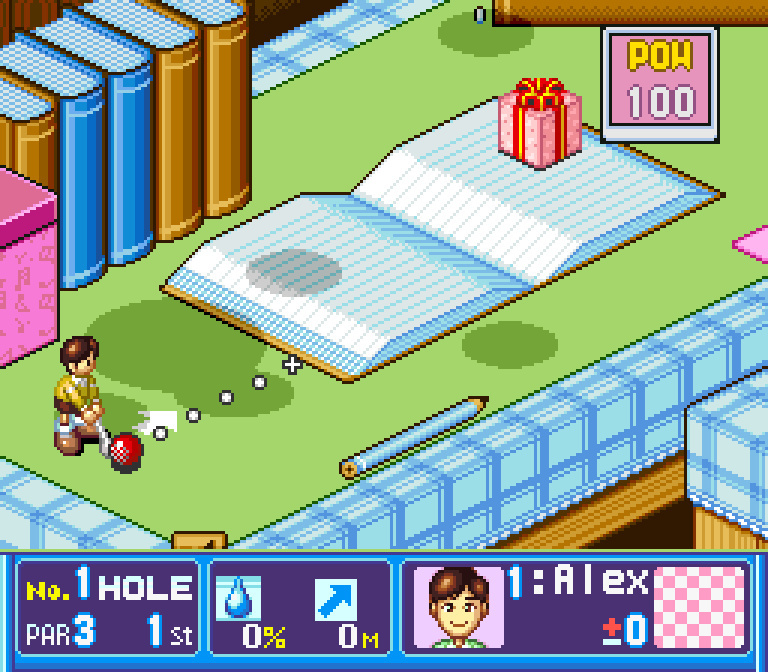 One of those titles released in April of 1997 was Golf Daisuki! Out of Bounds Club (which translates as "I Love Golf!") 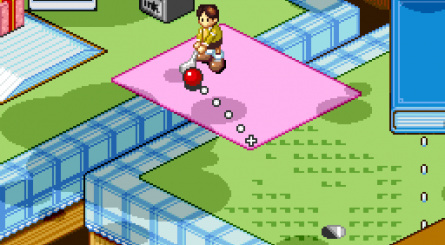 which was a fun, four-player isometric mini-golf video game developed by none other than NCS of Cybernator fame. 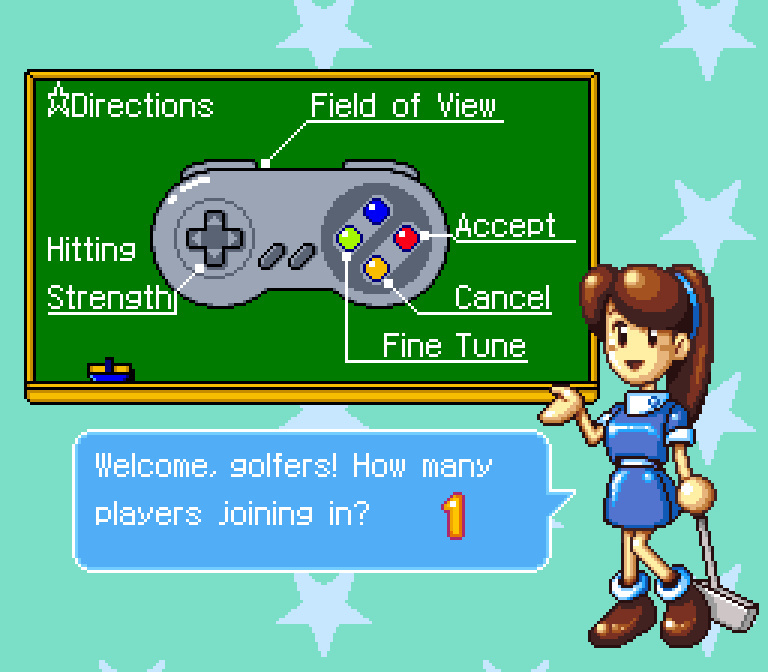 If you happen to a fan of Kirby's Dream Course you will be quite at home here. The same familiar isometric view will present the expected challenges of perfectly hitting the ball at the exact power and precise angle. 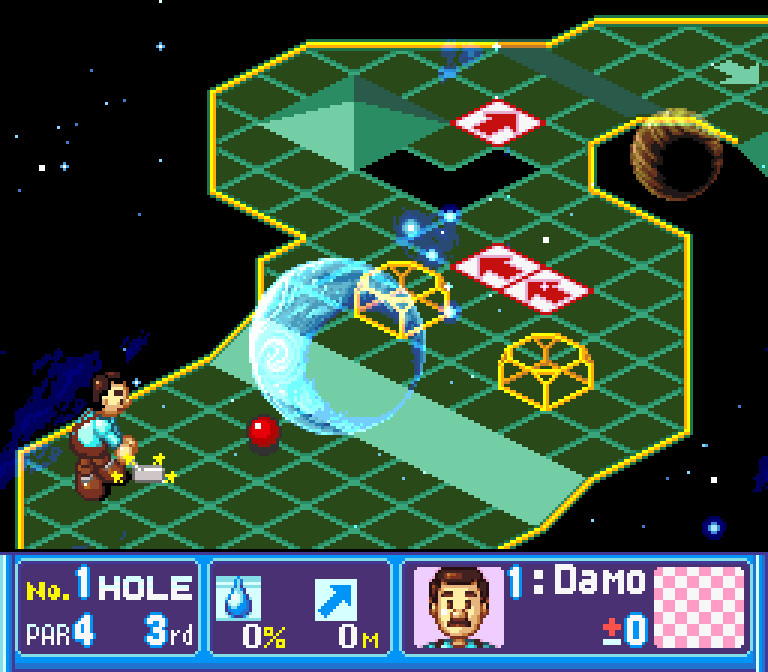 Despite the very first eight holes being set on a very normal Golf Club, further courses will take you to a micro world where everything around you is huge and even into Outer Space, which is somewhat fitting considering you had to download this game from Earth's orbit (if you hit a hole in one in outer space, do you call that a Space Ace?). Prolific ROM hacking translation group Dynamic Designs has released a complete English translation that covers all menus and dialogue in the game so it can now be fully enjoyed by Western Gamers. You can download the patch right here. Never played it before, but this is definitly a game that I'll look forward to! 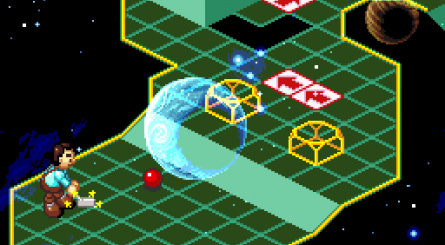 @JLPick I have a feeling only a few thousand Japanese players ever got to play this one. Man, I really need to dust off my flash cart. Perfect rainy day for it too! 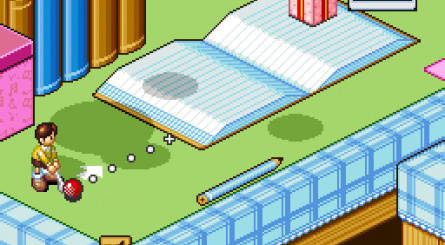 Also, wasn't this the game that later became Kirby's Dream Course? I remember hearing they released that on Satelliview as well. 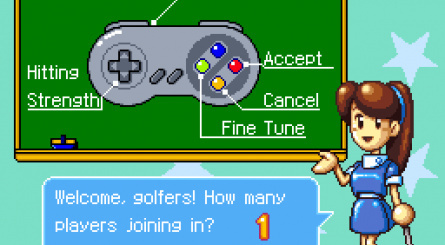 The Satellaview games are interesting, especially that someone managed to capture them. However, at least in one case the game loses something by not having the live announcer. These were more like special events than games. Not sure why anyone who loves golf so much would associate themselves with an "Out of Bounds" club, unless they enjoy public ridicule. Maybe that's the schtick? Game looks great, though. As always, thanks for the coverage, Shiryu! It's ever lovely to get more of the Broadcast Satellite's output translated, especially concerning a game that looks as charming and fun as this one. @Darknyht Believe it or not, there are dedicated fans out there translating the original text dialogues and voicing them over in English. How can they work with these games? All thanks to the wonders of the MSU-1! @SmaMan I don't believe so since this game came out in 1997 and Kirby was in 1994. 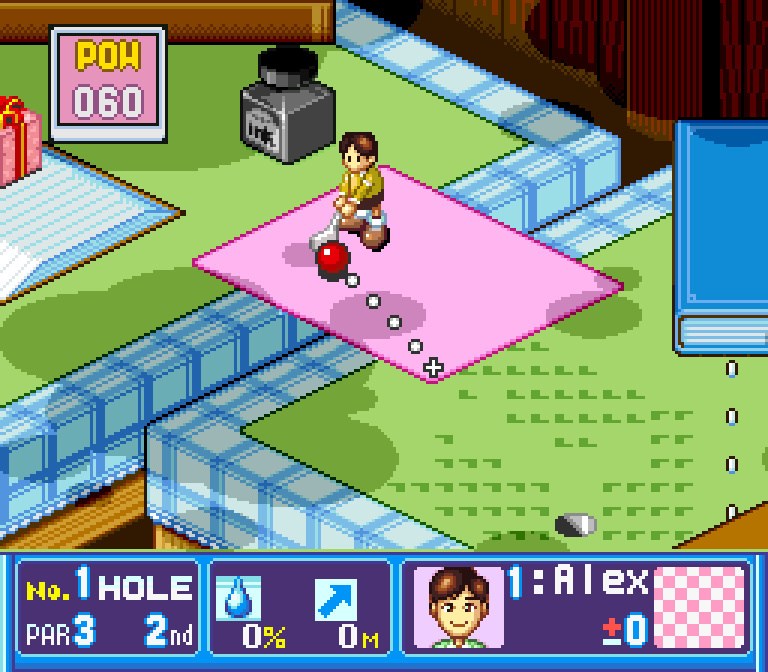 Basically, it was Special Tee Shot to begin with, then Nintendo wanted to put Kirby in it, but they released Special Tee Shot by itself on BS-X later. I know nobody is likely to see this comment now, but that guy in the header pic... the one breaking a golf club. What's going on with his face? Under his moustache... does he have big lips, or is he grinning through his teeth?